Monday was a generally quiet day on Wall Street, with most of the main goals completed relatively close to where they started the session. The earnings season has hit, with many key players in the market already reporting their latest achievements, and investors have largely focused on broader factors such as geopolitical excitement and global economic performance. However, some important stocks in the cannabis industry are set to report quarterly results this week, and many market participants are critical of many marijuana companies. Canopy Growth (NYSE: CGC) Aurora Cannabis (NYSE: ACB) and Aphria (NYSE: APHA) were among the worst artists Today. That's why they made it so bad. In addition, investors are about to get their first reading on how 2018 ended for cannabis shares at a basic level. Aurora Cannabis is set to report its latest quarterly results after the market closes on Monday, and Canopy will follow its own quarterly report on Thursday. Those who follow the cannabis industry generally look to see solid growth, but they are not entirely sure whether the sales gains that these companies will almost experience will also translate into bottom line growth. There is no doubt that Canopy, Aurora and Aphria all have fantastic growth potential. Canopy has already used its partnership with Constellation Brands to make a major contribution to markets globally, including the latest announcement to invest $ 150 million in building a hammock production facility in New York. The strategic move can represent the first step towards a wider US market presence, and investors are hopeful that Canopy, as more US jurisdictions will legalize marijuana, will be able to use its first floor as the basis for further business. Aurora and Aphria have made their own strategic moves to try to secure their positions in the growing cannabis industry, and they have all made their own name among investors in the marijuana market. Nevertheless, although investors can expect revenue to have risen dramatically over the latter part of 2018, the biggest question is whether these companies can do good on their long-term strategic plans. Building up production capacity is a must, and all three of these companies have made significant investments in increasing their annual growth rate. These investments will pay off with greater production and sales, but the cost of building and completing these projects has been significant in some cases. It will be up to investors to decide whether these companies give up too much present value in the pursuit of growth at all costs. 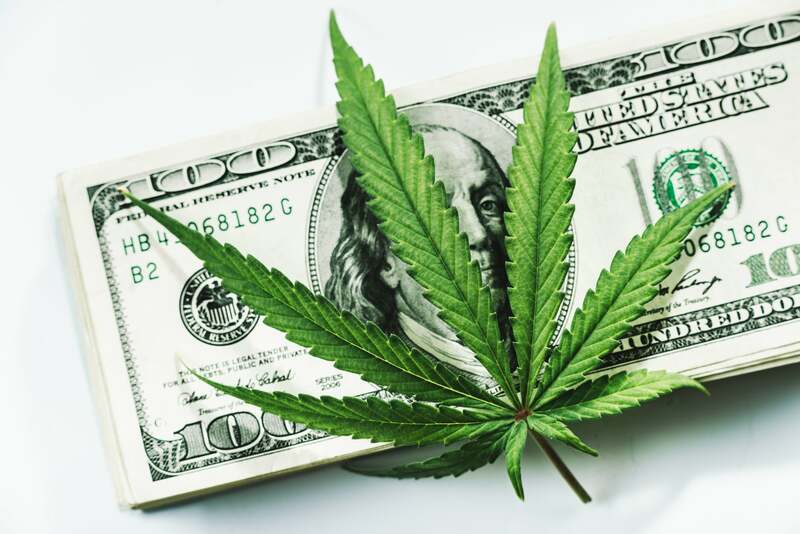 Following the marvelous performance that these marijuana shares gave investors in January and early February, it is no surprise to see them give back some ground today. Much more important in the long run is whether any or all of these companies can live up to the hype and become leaders in their industry, because it will be a great success to justify the stock performance that shareholders have already benefited from these marijuana shares. Dan Caplinger has no position in any of the aforementioned shares. Motley Fool has no position in any of the aforementioned shares. Motley Fool has a disclosure policy.